Are you thinking of starting your own business but are scared off by the prospect of it tanking or failing altogether within the first couple of months? This is a common fear but it shouldn’t stop you from chasing your dreams and running the business you’ve always wanted to run. 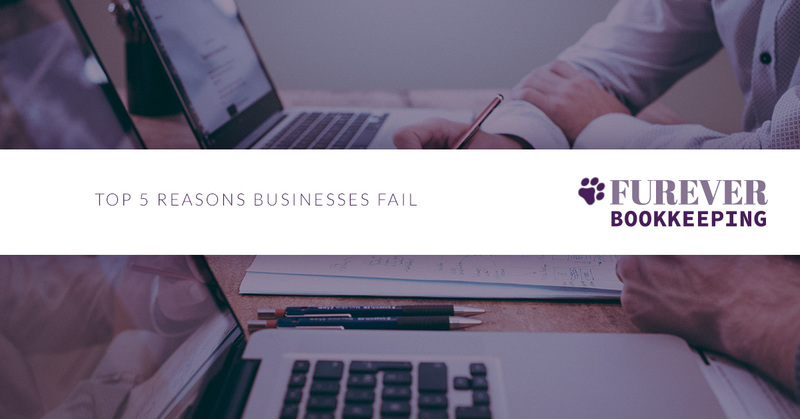 In this blog, we’re going to talk about five of the top reasons businesses fail in their early stages and how you can prevent it. Regardless of whether you’re experienced in the industry or not, it’s essential to immediately establish your new company’s place in the market. This means having a marketing plan in place before you even begin making sales. Why is this so important? We live in a world that’s run by companies who are constantly competing for customers’ attention, and if you want to take your share, you’ll need to find some way to stand out. Never overcharge for what you do, even if that means running your business at a loss. If you want to establish yourself as a trusted brand and keep people coming back, you need to charge at or even below what you think your value is. Every company starts with a commitment to serving the public, the funds will come later! Employees are what makes a company grow. If you’re expecting to do all the work by yourself, you’ll never get reach your goals and most likely won’t be making any profit. Even if this means hiring family members to help out, you should never deny an opportunity to grow. It’s important to note that the world we live in is constantly changing. Trends change, people’s’ interests change, and the way we market our products changes. If you want to take advantage of this and get your business at the forefront of these changes, you’ll need to start paying more attention to what makes consumers tick. Ask yourself: what can I do to make consumers committed to my brand rather than a company that’s already established? If you can answer this question, you’ll be well on your way to forming a successful business. Never start a business without having a proper way of tracking your financials. If you’ve started tracking your company’s funds in a spreadsheet this is a great start. However, once your company starts to grow, you’re going to need to hire someone to keep track of it for you because you’ll have plenty to do! This is where Furever Bookkeeping comes into play. Whether you’re a startup or a company that’s well established in the industry, it’s always a good time to hire a bookkeeper to reconcile your books and set you on the right track for financial success. At Furever Bookkeeping, you’ll be getting the highest quality accounting services so that your finances will no longer be a mystery. Contact us today to get started!